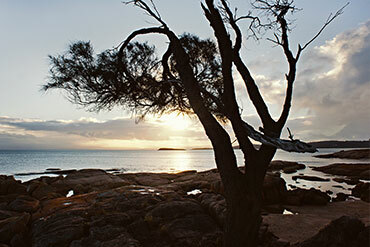 Maria Island National Park, just off Tasmania’s east coast, is a haven for walking and cycling, a sanctuary for wildlife, and a living record of some of Tasmania’s most compelling history. 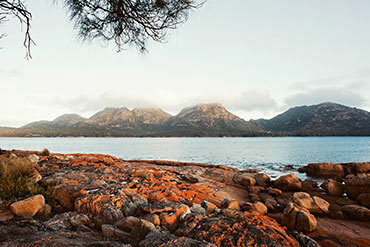 Freycinet National Park is one of Tasmania’s oldest, best known and most loved national parks. The grand, dry eucalypt forest of Douglas Apsley National Park, is one of the last remaining areas of untouched forest of its type in Tasmania. 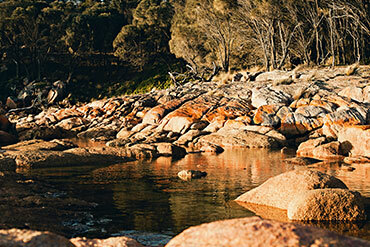 Located inland from Bicheno, Douglas Apsley is a place of deep gorges and cascading waterfalls and a diverse eco-system of rare and endangered plants and animals—some of which are found nowhere else on earth. 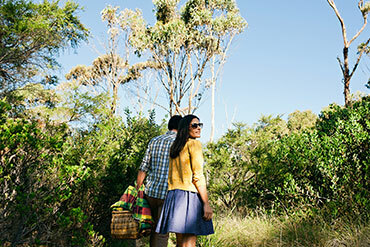 Take a short stroll or full day walk into the Park, visit the Apsley Waterhole and lookout, Apsley-Myrtle Rainforest Walk or stunning Heritage Falls and Leeaberra Falls. Or, for more experienced bushwalkers, take a challenging overnight or multi-day bushwalk for a longer exploration of the Park. Mt William is a stunning national park on Tasmania’s far north east coast. Located north of St Helens, Mt William is a wonderful place for camping and walking. Spend time exploring the park’s incredible beaches, lush coastal heaths, peaceful lagoons and fertile wetlands. Wildlife and birdlife are abundant in this environment—over 100 species of birds are found here, along with diverse Tasmanian wildlife including echidnas, brushtail and ringtail possums, wombats, wallabies, pademelons and Tasmanian devils. The Park is also a sanctuary for Forester kangaroos, which are uncommon elsewhere on the island. Take one of the many walks through the heaths and woodlands of the Park, which in spring and summer are alive with fragrant wildflowers. Explore vast sand dunes, walk the long, empty beaches that are famous for their fine white sand, and take long, rejuvenating swims in the clear, east coast sea.